Our friends and crackin' good band, Talking To Walls are hitting the road for a mini-tour. 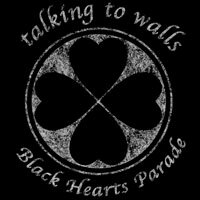 The y've put together a song, "Black Hearts Parade" (backed with an acoustic version of "Song For Megan") to celebrate, Irish punk style! Nothing says St. Patrick's Day like Irish punk songs. You can get a download HERE ... it's a pay what you want deal but, it's always nice to support indie folks. And for your visual pleasure, check out the video below directed by their very own Brian Kelly. GIG ALERT! Talking To Walls will be here in NYC down at The Delancey on Friday, March 18 and it'll cost you $10.